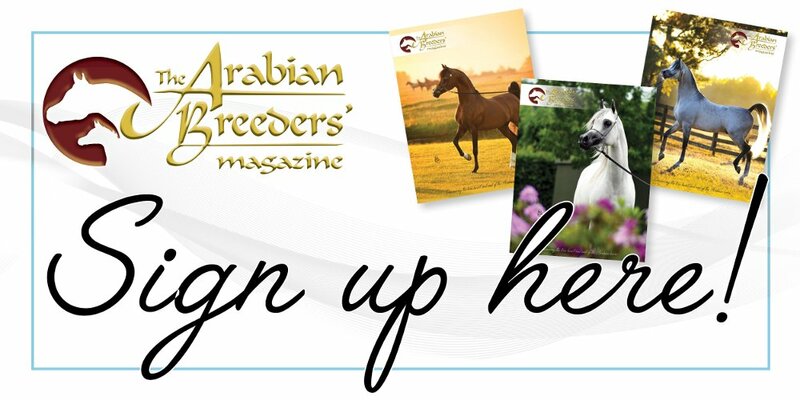 First published in The Arabian Breeders’ Magazine Volume I Issue II December 2016. Celebrating the Champions – Rotherwood Rainmaker. Rotherwood Rainmaker is the stuff of dreams. The remarkable show pony gelding once again headed the Horse of the Year Show (HOYS) 128cm riding pony class in 2016, for an incredible fourth year, before adding the Part-bred Pony Championship to his record. There were tears and hugs all round for this once in a lifetime pony. He is a true legend and, I am sure, there is yet still more to come. The story of Rotherwood Rainmaker began in the spring of 2007 when he was born at Rotherwood Stud in Leicestershire. Now known to all as ‘Rupert’, the colt foal was an impressive young man. His dam, Rotherwood Spring Flower, is by Strinesdale Matador, whose granddam, Gredington Natalia was by Count Romeo, by Count Rapello, out of the famous Ermin Toes. There lies the Arabian part of his pedigree and thus his eligibility as a part-bred Arabian. Rainmaker’s sire is Rotherwood Peter Pan, who has sired many champion ponies in the show-ring. His pedigree contains some Welsh, but his bloodlines go back to the father of all British Riding Ponies, Bwlch Valentino. As is stud policy, all foals are offered for sale at weaning time. Diane Brereton of the Laybalands Stud enquired to buy the colt foal of Rotherwood Spring Flower. The day came for her to visit to see him, and as mare and foal were presented the heavens opened to a rain storm like none seen before. And so his name was chosen! He went to the Laybalands Stud, where he was later gelded and turned out to mature. As a three-year old, he was made available as a potential ridden 128cm pony and the Carter family snapped him up for their daughter, Poppy, to ride. The rest as they say is history! Rotherwood Rainmaker. Credit ES Photography. Even in the beginning, as a tiny jockey, Poppy rode four-year old Rupert to achieve the highest of accolades. 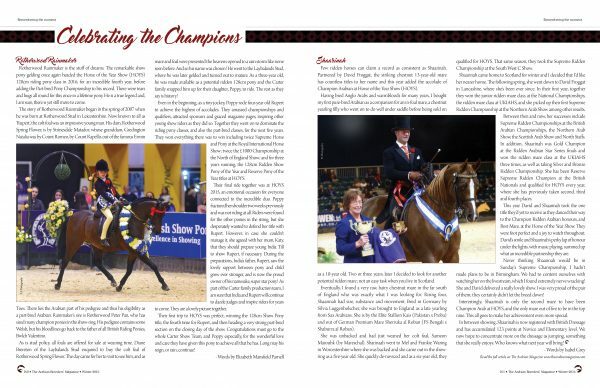 They amassed championships and qualifiers, attracted sponsors and graced magazine pages, inspiring other young show riders as they did so. Together they went on to dominate the riding pony classes, and also the part-bred classes, for the next five years. 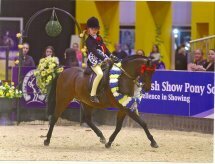 They won everything there was to win including twice Supreme Horse and Pony at the Royal International Horse Show; twice the £1000 Championship at the North of England Show; and for three years running, the 128cm Ridden Show Pony of the Year and Reserve Pony of the Year titles at HOYS. Their final ride together was at HOYS 2015, an emotional occasion for everyone connected to the incredible duo. Poppy fractured her shoulder two weeks previously and was not riding at all. Riders were found for the other ponies in the string, but she desperately wanted to defend her title with Rupert. However, in case she couldn’t manage it, she agreed with her mum, Katy, that they should prepare young India Till to show Rupert, if necessary. During the preparations, India’s father, Rupert, saw the lovely rapport between pony and child grow ever stronger, and is now the proud owner of his namesake, super star pony! As part of the Carter family production team, I am sure that India and Rupert will continue to dazzle judges and inspire riders for years to come. They are a lovely picture together. Their first trip to HOYS was perfect, winning the 128cm Show Pony title, the fourth time for Rupert, and then heading a very strong part-bred section on the closing day of the show. Congratulations must go to the whole Carter Show Team, and Poppy especially, for the wonderful love and care they have given this pony to achieve all that he has. Long may his reign, or rain, continue!